So in today's world where every single hit counts it's very important to follow the trends and stay ahead of the game. More and more clients are asking me about the mobile friendly website to be added to their current site or to simultaneously develop a mobile site together with a regular website. Why? Do you think people will be browsing you on their iPhone while in a taxi cab, airport or simply on a lunch brake? The answer is: Yes! Not only do they have a separate index for mobile content, but also it is fairly empty. The other day I performed a search for an Imax theater in Plano, Texas, and it told me that the best option was a theater in Dallas. Really? I jumped on Imax.com and found a theater located just 19 miles away. 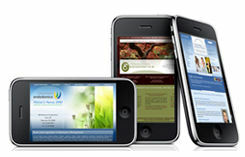 There is a fundamental design difference between a regular website and a mobile website. On a mobile phone, there is a very limited amount of screen space. If you have ever had to side scroll to view something on a website, you realize how much of an inconvenience it is. This is magnified on a mobile device. Even with the ability to turn the device lengthwise, the resolution is still extremely small. This percentage is increasing every year. 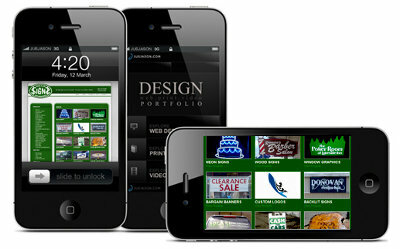 If you're not representing yourself on the mobile web, your competition surely will take up the opportunity. Not only will the mobile web inevitably overtake the desktop, but also usage and adoption is growing at a much faster rate than the desktop did. In the future, the vast majority of visitors to your website will be on a mobile device. This is likely the most exciting and sought after information about the mobile web. If millions of people are using the mobile web, but they are not buying anything, most commercial websites would not bother establishing a mobile presence. As you can see, purchasing from mobile devices is already in the billions. Not all cell phones have Internet access capabilities, but that is currently the trend. Smart phones are not the only ones with access to the web. It is safe to say that in the near future, all phones will have some form of online access. 7. 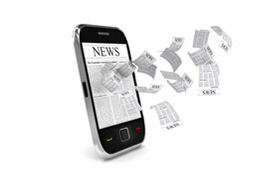 Mobile advertising spending will surpass $6.5 billion in 2012. Furthermore, if they continue to spend more year after year, that indicates that the previous years investment paid off. That is exactly how mobile advertising is trending across the board. 8. Users average 13 hours online per week, up from 7 in 2002. As online usage increases regardless of the device used, accessibility is going to be the next lever to increase online usage. A desktop or laptop used to be the only way to access the Internet, but now with Internet enabled mobile phones the Internet has truly become mobile. It is now simply a matter of service availability from your mobile phone network provider such as AT&T and Verizon. 9. There are an estimated 2 billion cell phones worldwide. Call us now for a free website analysis or consultation.